Above: Stuart Lawson (R) of John Lawson Butchers, West Lothian pictured receiving his award from Graeme Sharp, QMS & David Littlewood (L), President of the Federation of Chefs Scotland. A top Scottish butcher has been crowned the Scotch Lamb Butcher of the Year 2018 in a new initiative from the Scotch Butchers Club run by Quality Meat Scotland (QMS). Scotch Butchers Club member, John Lawson Butchers of West Lothian, scooped the top prize in the inaugural year of the competition, which was introduced to recognise the skill and innovation of butchers who take pride in stocking Scotch Lamb PGI. Members of the Scotch Butchers Club, run by QMS, who stock Scotch Lamb PGI were eligible to enter their best lamb products in the new national competition. The products entered were then judged by representatives from The Federation of Chefs Scotland and Queen Margaret University’s Gastronomy course who had the difficult job of finding the best from the top quality, innovative products that were entered by butchers up and down the country. 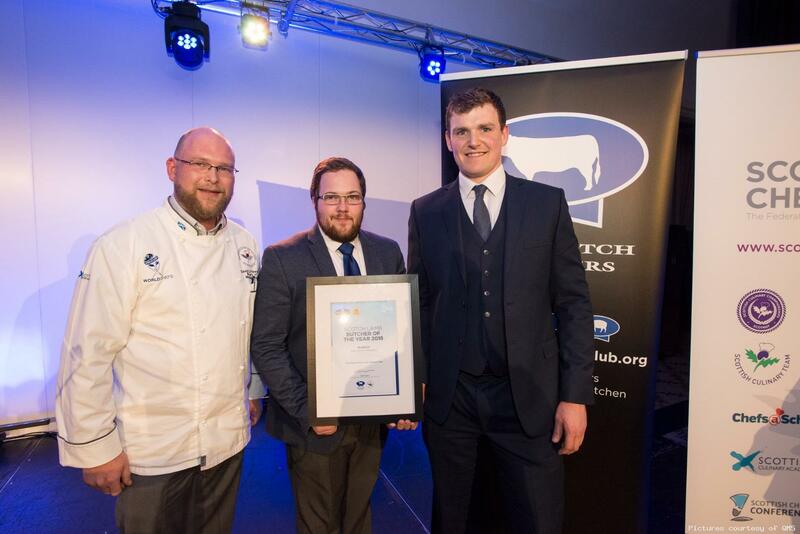 The prestigious title was announced at this week’s annual Scottish Chefs (Federation) conference dinner where two other Scotch Butchers club members were also recognised for their exceptional products. 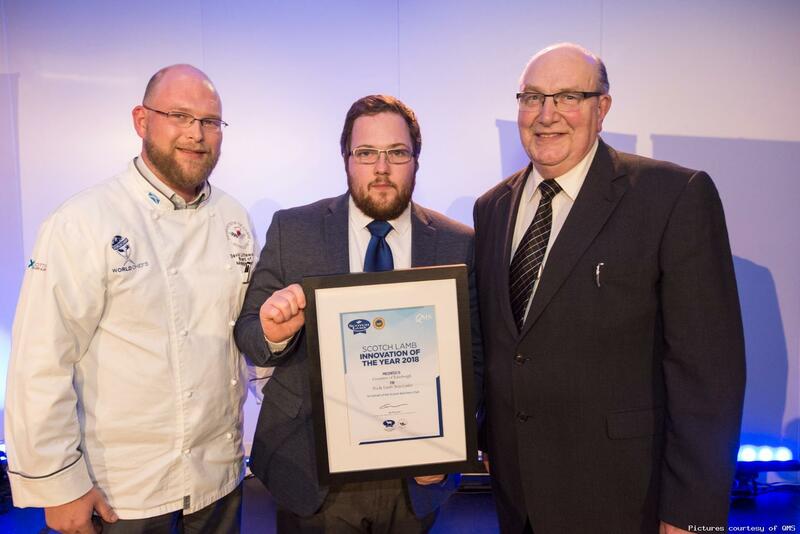 Above: William Fraser (R) of Duncan Fraser & Son of Inverness pictured receiving his award from Graeme Sharp, QMS & David Littlewood (L), President of the Federation of Chefs Scotland. Duncan Fraser & Son of Inverness was presented with the Scotch Lamb Consumer Choice award for their Lamb & Mint Pie, which was given a perfect score by the judges. 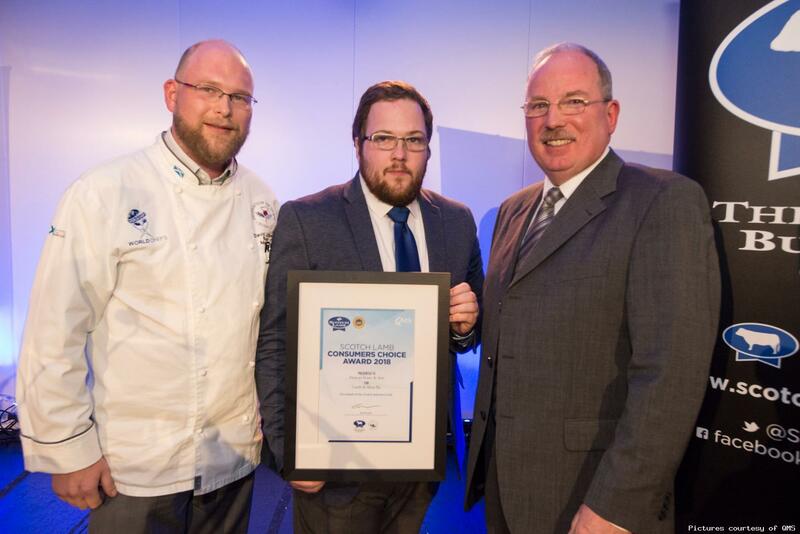 Above: Sandy Combie (R) of Crombies, Edinburgh, pictured receiving his award from Graeme Sharp, QMS & David Littlewood (L), President of the Federation of Chefs Scotland. Crombies of Edinburgh was awarded Scotch Lamb Innovation of the year for their Pea and Lamb Twin Cutlets, with the judges admiring the attention to detail, presentation and taste of the product. Graeme Sharp, Marketing Executive at QMS, said these new awards showcase the quality and innovation of Scotch Butchers Club members. 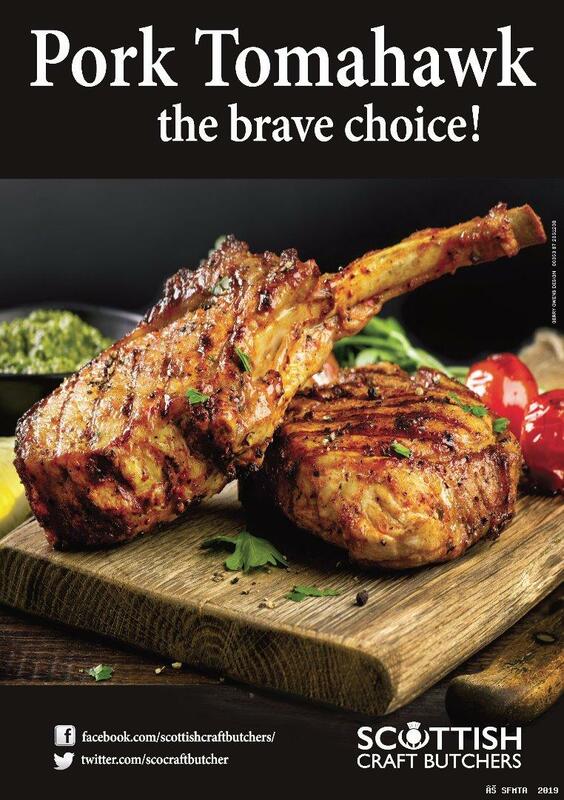 “The fantastic range of top quality Scotch Lamb products entered for the awards sends out a very positive message about the combination of knowledge, traditional skills and innovation offered by our butchers.